Updated Thursday July 5, 2018 by Saskatoon Minor Basketball. 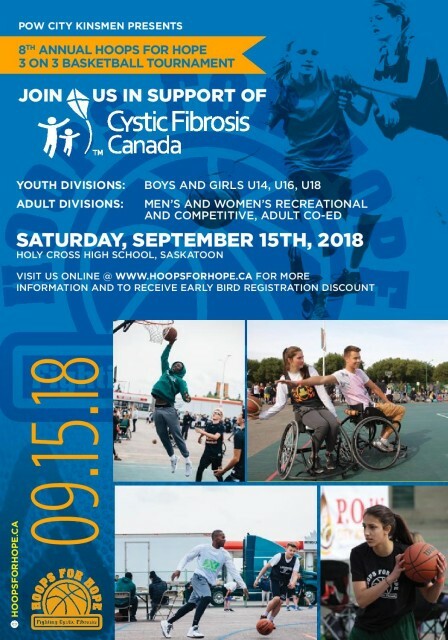 Hello Friends of Hoops for Hope! Registration for 2018 is now open. Get your teams in now to get early-bird pricing and to start collecting donations. This year’s grand prize draw is for 2 TICKETS ANYWHERE AIR CANADA FLIES IN NORTH AMERICA! PLUS the first 40 individuals to register will be entered into a draw to win a $50 Fuddruckers gift card! See below for more and visit us online. *Note that the wheelchair division will be back this year!! Remember to like us on Facebook and Twitter and Instagram to keep updated.